"What reasonable [argument] could we make among ourselves in avoiding this, or could we rely on vis-a-vis our allies there in failing to come to their aid?" The basic meaning of skepto is to lean on. Last edited by Qimmik on Wed Mar 27, 2013 9:55 pm, edited 2 times in total. Qimmik wrote: The more I think about this sentence, the more artisticly constructed it seems, especially the positioning of the ἢ's to highlight the contrast between αὐτοὶ and τοὺς ἐκεῖ ξυμμάχους in the parallel clauses. There's a reason for the "trajection" -- it's not just an arbitrary dislocation. This is helpful, and I think could well explain the position of the two ἢ's - which I suppose makes option (ii) all the more likely. Could the object of σκηπτόμενοι be τί λέγοντες εἰκὸς? Certainly in English it could be. Reasonably saying what could we ourselves refrain or allege by way of excuse to our allies? For the first half, τί λέγοντες εἰκὸς is circumstantial, while for the second half, it is the object of σκηπτόμενοι. As for LSJ, one could easily argue that they have condensed the Thucydides down to what is essential for a lexicon. We have a whole thread on LSJ where we have noted their doing that on more than one occasion. I am just playing devil's advocate. I don't have any strong view on this. "Reasonably saying what could we ourselves refrain or allege by way of excuse to our allies"
How do you fit μὴ βοηθοῖμεν into this sentence? And how can "reasonably saying what" serve as a direct object to "allege by way of excuse"? I think this sentence fits together very well if you take τί εἰκὸς as the object of both participles, and the parallelism or antithesis is characteristic of Greek prose. Thucydides knows how to vary the contrasting elements of the antithesis just enough to avoid the tedious μεν . . . δε style of earlier Greek prose writers. Yes, there are problems with LSJ. It's like the weather--everyone complains about it, but no one does anything about it! Qimmik wrote: I think this sentence fits together very well if you take τί εἰκὸς as the object of both participles, and the parallelism or antithesis is characteristic of Greek prose. Does the word order make (ii) (a) more likely, in that the fact that εἰκὸς follows λέγοντες perhaps makes it seem more like part of the first clause? A. [select] like truth, i.e. likely, probable, reasonable, εἰ. (with or without ἐστί), c. inf. pres., aor., or fut., S.El.1026, A.Ag.575, Is.4.18; οὐ γὰρ εἰ., c. inf., S.Ph.230; οἷς εἰ. (sc. δοῦναι) ib.973; “ὥσπερ εἰ. ἦν” Ar.Fr.621, etc. : also pl., “ἐοικότα γάρ . . τυχεῖν” Pi.P.1.34. *2. [select] neut. Subst., εἰκός, τό, likelihood, probability, τὰ οἰκότα likelihoods, Hdt. 1.155, etc. ; “τὸ οὐκ εἰ.” Th.2.89; κατὰ τὸ εἰ. in all likelihood, Id.1.121; “ἐκ τοῦ εἰκότος” Id.4.17; “τῷ εἰκότι” Id.6.18; “παντὶ τῷ οἰκότι” Hdt.7.103; “τοῦ εἰκότος πέρα” S.OT74; τῷ εἰκότι χρῆσθαι, opp. ἀπόδειξιν λέγειν, Pl.Tht.162e: in Poets without Art., “λέγεις μὲν εἰκότα” S.Ph.1373; “εἰκὸς πέπονθα” E.IA501; ἤν γ᾽ ἐρωτᾷς εἰκότ᾽, εἰκότα κλύεις ib. 1134. Nevermind that at 6.18 there is no article and no dative. I need another cup of coffee! What is the relation between ἀποκνοῖμεν and ti? Saying what reasonable [argument] would we hold back? Relying on what reasonable [argument] in the face of our allies there would we fail to come to [their] aid? τί εἰκὸς is the direct object of both λέγοντες and σκηπτόμενοι. But I think you could go either way on whether εἰκὸς belongs with both participles. But τί, in my mind, does belong to both. I don't think τί εἰκὸς has, or needs to have, a relationship to the main verbs ἀποκνοῖμεν and μὴ βοηθοῖμεν. It's the object of the participles, not the main verbs. I think τί εἰκὸς is best taken as a unit, notwithstanding the word order, but perhaps you're right. It doesn't make a big difference in meaning, But I think the idea of a reasonable argument is just as inherent in the second clause as in the first. The idea of the second clause is "how can we rely on any reasonable argument in response to our allies there and fail to come to their aid?" σκηπτόμενοι seems to add a suggestion that any such argument would be disingenuous. at 6.18 there is no article and no dative. τῷ εἰκότι shows up further along in the chapter, in 6.18.4, maybe something like this: "and, at the same time, we will in all likelihood rule all of Greece, once those there have been added [to our territories? ], or we will harm the Syracusans, in which we and our allies will benefit." Qimmik wrote: τί εἰκὸς is the direct object of both λέγοντες and σκηπτόμενοι. Qimmik - many thanks for this, and the rest of your analysis. Your point about the need to avoid imposing English structures on the Greek, and the dangers of invoking trajection, is well taken. I suppose I'm particularly trying to pin things down because I'm currently revising my own translation of Thucydides, which constrains me to opt for a single interpretation, whereas in the original, as you point out, there may well be a degree of ambiguity, or rather of possible legitimate multiple shades of meaning, some or all of which may have been present in the mind of the author. One thought that is somewhat influencing me in thinking that τί alone might be the object of σκηπτόμενοι is as follows. I wonder whether we would expect Thucydides to describe the excuse as 'specious' or 'plausible', rather than 'reasonable', if it had to have a qualifier. But perhaps, as you say, σκηπτόμενοι is itself sufficient to dilute or cast doubt on εἰκὸς if the latter applies to the second clause. If you're actually translating T., you have to commit yourself to one reading or the other! Although here I'm not sure you really need to be so exact, and in any case you can't translate T. or any other ancient Greek author on a word-by-word basis. Greek is so different from English--it's not even like translating from a modern European language such as French, German or even Russian. You really have to paraphrase heavily to produce readable English. T. is one of the most difficult Greek prose authors, but others require paraphrasing to arrive at acceptable English, too. From what I've seen of published translations from a variety of languages, translators, even good ones, find ways to conceal their uncertainties. I'm happy to help out when I can. I'm not a professional scholar or teacher, but I started studying Greek in secondary school when I was 14 (53 years ago), my undergraduate degree was in Classics, and over the years, I've done a fair amount of reading ancient Greek, both poetry and prose, as an avocation. Qimmik wrote: If you're actually translating T., you have to commit yourself to one reading or the other! Although here I'm not sure you really need to be so exact, and in any case you can't translate T. or any other ancient Greek author on a word-by-word basis. Greek is so different from English--it's not even like translating from a modern European language such as French, German or even Russian. You really have to paraphrase heavily to produce readable English. T. is one of the most difficult Greek prose authors, but others require paraphrasing to arrive at acceptable English, too. From what I've seen of published translations from a variety of languages, translators, even good ones, find ways to conceal their uncertainties. I agree with you regarding the literalness of translation. When I started work on mine (about twelve years ago) it was in order to have to hand a fairly literal version of Thucydides which recorded, for my future reference, my own 'take' on the text, particularly with regard to the many problematic passages. As I've worked on it since then through successive revisions, I've often found it necessary to move somewhat farther away from faithfulness to the words in order to achieve faithfulness to (what I believe to be) the actual meaning. It's been a fascinating experience, but I need to bring it to a conclusion of some sorts, so I've promised myself that my current revision (I've just started Book VII) will be my last - at least for now! I studied Classics at university back in the '70s, but then largely let it lie fallow for twenty years, so you've done a good deal better than I have in terms of keeping things going. In other words, I've now opted to take τί εἰκὸς as applying to both clauses, as I was impressed by your argument that it should probably be taken as a unit. Thanks to you and pster for your help with this knotty puzzle. As I think I've mentioned, for my current rereading of Thucydides (and for revising my own translation) I'm using Alberti's edition of the Greek text. While in my view a marked improvement on the OCT, it does sometimes cause me problems when it adopts readings which don't appear in previous editions, and which aren't therefore discussed in the commentaries. ἔθνη γὰρ πλεῖστα δὴ ἐπὶ μίαν πόλιν ταύτην ξυνῆλθε, πλήν γε τοῦ ξύμπαντος ὀλίγων τοῦ ἐν τῷδε τῷ πολέμῳ πρὸς τὴν Ἀθηναίων τε πόλιν καὶ Λακεδαιμονίων. Alberti attributes the reading ὀλίγων to an interpretation of a papyrus given in a 1937 monograph by Bartoletti; unfortunately, I've found that the latter gives no clue as to how to interpret this reading. To get to this I've had to expand the first part of the sentence on the assumption that it is a very condensed way of saying what I've suggested; my interpretation of πλήν γε τοῦ ξύμπαντος ὀλίγων is even more tentative. I'd be very grateful for your thoughts on how to interpret Alberti's text of this difficult sentence. Hornblower doesn't say much. He uses the OCT and he says that Dover rightly defends logoN--not sure why he doesn't say logou. I've budgeted more time than usual for Greek today, so I'll look at it over the next 12 hours. ὀλίγων is a puzzle to me. The best I can do is "by a few" with understood comparison stemming from πλεῖστα. The only way I can see to explain ὀλίγων is as something like the genitive of measure or degree (Smyth sec. 1325)--"except, by a small number, all of those who rallied to . . . " However, this usage is usually in the dative ("dative of measure of difference, Smyth sec. 1513), and I can't find a parallel use of the genitive in any of the grammatical texts at my disposal. ὀλίγων is certainly the difficilior lectio. Generally, I think your translation is correct, except I think that ξυνῆλθε here means "join with," (see LSJ) or, as you supply with πλήν, "rally to the support of," not physically assembling in one place. pster wrote: Hornblower doesn't say much. He uses the OCT and he says that Dover rightly defends logoN--not sure why he doesn't say logou. I've budgeted more time than usual for Greek today, so I'll look at it over the next 12 hours. Thanks, pster - I look forward to hearing what you think. Qimmik wrote: ὀλίγων is a puzzle to me. The best I can do is "by a few" with understood comparison stemming from πλεῖστα. The only way I can see to explain ὀλίγων is as something like the genitive of measure or degree (Smyth sec. 1325)--"except, by a small number, all of those who rallied to . . . " However, this usage is usually in the dative ("dative of measure of difference, Smyth sec. 1513), and I can't find a parallel use of the genitive in any of the grammatical texts at my disposal. ὀλίγων is certainly the difficilior lectio. Qimmik - many thanks for this. I took ὀλίγων as going with πλήν, since my understanding is that πλήν + genitive can = 'except'; I then took 'except for a few of the total' to mean 'albeit a few short of the total' - a free rendering, I admit, but I thought it might work here. As for ξυνῆλθε, I think at the start of the sentence it does mean physically come together, since, as the next chapter (the 'catalogue of allies') makes clear, he is talking about the numbers of those who fought on both sides at Syracuse. Indeed, in chapter 56, just before the quoted sentence, he has talked about the allies on both sides; the 'For' at the start of our sentence links back to this. I think you're right about ξυνῆλθε : after checking LSJ, I think ἔθνη probably means "masses of people," i.e,. "troops," not political entities, referring to the massing of forces around Syracuse. Do the words following πλήν refer to the masses of troops converging at Athens and Sparta? Or is he talking about the aggregate number of troops involved in the whole conflict on each side? Or the aggregate number on both sides? It looks as if better scholars than you and I have been stumped by this passage, judging from the conjectures that have been targeted at it. The discussion in Dover (i.e., the last, posthumous volume of the Gomme series) may bring some clarity, but unfortunately I don't have ready access to it. This is one of those situations where clever translators cover their tracks. I'd suggest you accept the ms. reading λόγου as the basis for your translation and move on. You're entitled to do this because everyone else, including some famous names, has trouble with this passage. Qimmik wrote: I think you're right about ξυνῆλθε : after checking LSJ, I think ἔθνη probably means "masses of people," i.e,. "troops," not political entities, referring to the massing of forces around Syracuse. Do the words following πλήν refer to the masses of troops converging at Athens and Sparta? Or is he talking about the aggregate number of troops involved in the whole conflict on each side? Or the aggregate number on both sides? Many thanks for these further thoughts. I've so far taken the view that the reference is more likely to be to the aggregated total of those who supported the two sides, and that the basic meaning was that the total of peoples who went to fight at Syracuse on both sides was only a little less than that of those who fought in the war as a whole. But I may be wrong about this. Gomme et al. offers little on this - it just supports λόγου, as meaning 'total' or 'count'. Tempting as it is to go with λόγου, I've committed myself to following Alberti's text strictly. So, subject to any further thoughts which you, pster or anyone else may have, I think I'd better stick with my rendering for now. But it's always helpful to discuss these things, in case one has overlooked something. 1. ὀλίγου δεῖν almost (v. δεῖ II); ὀλίγου ἐδέησε καταλαβεῖν wanted but little of overtaking, Hdt.7.10.γ᾽ : hence ὀλίγου alone, within a little, allbut, almost, “ὀλίγου σεκύνες διεδηλήσαντο” Od.14.37, cf. Ar.Ach.348,381,Nu.722, Lys.14.17, Pl.Prt.361b, D.19.334, etc. ; “ὀ. ἅπαντες” Pl.Ap.22b ; “ὀ. ἐς χιλίους” close upon 1,000, Th.4.124 ; ὀ. ἦλθεν ἑλεῖν (v. infr. 9) Paus.1.13.6. See the citation from Plato's Apology. Could ὀλίγων here be a similar usage, where we have a plural noun as the referent, namely ἔθνη? Something like "almost the total" or "just about the total" where ὀλίγων with ξύμπαντος simply indicates a slight imprecision, with δεῖ omitted, as it is typically in this idiom, including in the passage from the Apology). I guess that's how you're translating it. What doesn't quite match up syntactically is that πλήν calls for a noun complement, not a verbal clause (understood δεῖ), but if you translate ὀλίγων δεῖ as an idiom meaning "almost", it doesn't quite make sense "the most . . . except almost the total of those who . . . " Sorry I couldn't let go of this. Qimmik - many thanks for this, and apologies for the late reply. I haven't yet had a chance to give your comments proper consideration, but will do so after the weekend. I also want to have a look at any parallel passages in Thucydides, to see if they provide any linguistic clues: for instance, Betant's Lexicon Thucydideum lists a number of other instances of πλήν, some of which might be worth examining in this context. John W. wrote: Qimmik - many thanks for this, and apologies for the late reply. I'm afraid that other pressures have delayed my further investigation of this point, though I hope to tackle it soon. καὶ ὁ μὲν τοιαύτῃ ἢ ὅτι ἐγγύτατα τούτων αἰτίᾳ ἐτεθνήκει, ἥκιστα δὴ ἄξιος ὢν τῶν γε ἐπ᾽ ἐμοῦ Ἑλλήνων ἐς τοῦτο δυστυχίας ἀφικέσθαι διὰ τὴν πᾶσαν ἐς ἀρετὴν νενομισμένην ἐπιτήδευσιν. The first part of this sentence could be translated as: 'And so he perished for this (or a very similar) reason, being certainly the least deserving, of the Hellenes of my time at any rate, to arrive at such a depth of misfortune ...'. It is the following words in bold that are the main challenge here: does πᾶσαν go with ἀρετὴν or with ἐπιτήδευσιν? And how does one translate νενομισμένην? Is the meaning something like 'on account of his way of life, which was wholly regulated by reference to virtue'? If so, can one take νενομισμένην as meaning 'regulated' or 'governed'? Or could the meaning perhaps be 'completely habituated to virtue' (i. e. virtue had become second nature to Nicias)? Some commentators take ἀρετὴν νενομισμένην together as meaning 'customary virtue', but (a) I would then have expected ἀρετὴν τὴν νενομισμένην, and (b) I'm not sure that Thucydides would be trying to distinguish Nicias' espousal of purely conventional virtue from a more profound and analytical conception of virtue (though I suppose it is possible). If πᾶσαν ἐς ἀρετὴν goes together, it could mean 'with reference to complete virtue', but that doesn't quite ring true to me, and I incline to take πᾶσαν with ἐπιτήδευσιν. My apologies for raising yet another knotty Thucydidean puzzle; any thoughts would be much appreciated. καίτοι πολλὰ μὲν ἐς θεοὺς νόμιμα δεδιῄτημαι, πολλὰ δὲ ἐς ἀνθρώπους δίκαια καὶ ἀνεπίφθονα. So perhaps one should after all seriously consider interpreting 7.86.5 as referring to Nicias' 'complete devotion to traditional virtue'. LSJ s.v. ἐπιτήδευσις suggests that ἐς ἀρετὴν . . . ἐπιτήδευσιν means "cultivation of virtue" in this specific passage. Also, s.v. 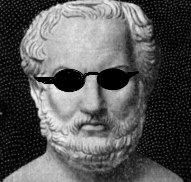 νομίζω, II.2 gives as a meaning "esteem," with citations to Plato, Pindar and Lysias, but not Thucydides. "his whole esteemed cultivation of virtue"
"his whole well-reputed cultivation of virtue"
"his whole reputation for the cultivation of virtue"
" the whole esteem in which he was held for the cultivation of virtue"
I agree with this, too. I think νενομισμένην refers to his reputation (without implying that it's undeserved or at variance with his real character), and modifies ἐπιτήδευσιν. Qimmik - many thanks for this. I hadn't thought of taking νενομισμένην in this sense here (nor, as far as I am aware, has anyone else), but it is certainly an attractive possibility. Dover (A Historical Commentary on Thucydides vol. IV ad loc) says that 'The Greeks did not speak of "the virtues" ... , but πᾶσα ἀρετὴ in the sense of "complete virtue" (and it would be hair-splitting, in the present context, to distinguish that from "every virtue") is a recognized expression...': he goes on to give examples from fourth-century epitaphs. So I suppose that, on this basis, and taking your interpretation of νενομισμένην, one could regard 'his reputation for cultivating every kind of virtue' might still be a possibility. Dover seems to take νενομισμένην as meaning 'customarily practised' - at least, he gives active examples from Aeschylus and Euripides which appear to mean that. Sorry I was very busy this week with a presentation in a foreign tongue. I did manage to work in the Greeks quite a bit though. So I didn't get a chance to look at your question until now. I don't know anything about the context. But I looked at it and I put νενομισμένην with ἐπιτήδευσιν and I put πᾶσαν with ἐπιτήδευσιν. Then I checked Hornblower. Lo and behold, he takes the same view! He's got a very dense page and a half with about 50 proper names of scholars not counting Greeks (many repeated of course, but still!). Everybody has weighed in on it it seems. There is a kind of background debate about whether one should expect a lot of ambiguity in important passages or whether ambiguity lovers have gone too far (Nisbet and Rood's view). Hornblower seems overall lean in the ambiguity direction in general. And he thinks that in this passage specifically Thucydides has not expressed himself unambiguously although he could have. With Rood he likes the interpretation described above because it leaves ἀρετὴν in "forceful isolation". Last edited by pster on Sat Apr 27, 2013 12:08 am, edited 5 times in total. To strengthen this line you could also look at 2.53.4 and 3.82.6, as pointed out by Rood, and also 7.69, as pointed out by Hornblower, although neither take this line. Like I say, I don't know the context, but it seems to me that if you are going to really go with a "traditional virtue" interpretation, then in addition to finding other references to traditional virtue, you are going to have to really make sense of that to which such traditional virtue is opposed. Where is the non-traditional virtue in the text? Is somebody really out there praising non-traditional virtue? Or are folks just acting badly? Maybe I'm overstating it. If so, then please ignore. pster wrote: Like I say, I don't know the context, but it seems to me that if you are going to really go with a "traditional virtue" interpretation, then in addition to finding other references to traditional virtue, you are going to have to really make sense of that to which such traditional virtue is opposed. Where is the non-traditional virtue in the text? Is somebody really out there praising non-traditional virtue? Or are folks just acting badly? Maybe I'm overstating it. If so, then please ignore. pster - many thanks for this, and your other posts; I hope your presentation went well. Having briefly flirted with this sort of interpretation, I'm now reverting to the one I originally favoured, and which you and Rood also endorse. Nicias clearly had his limitations, which in fact played their part in undermining the Sicilian expedition, and to that extent his conception of virtue could be regarded as flawed through being purely conventional or formal; however, I do not feel that Thucydides would have chosen such a moment to highlight this, and the tone of the first part of the statement - 'being certainly the least deserving, of the Hellenes of my time at any rate, to arrive at such a depth of misfortune ...' - does not, to my mind, suggest that what follows will be ironic, or even qualified or deliberately ambiguous in some way. I suspect that, as with quite a few other problem passages, the difficulty stems not from any conscious desire for ambiguity, but from Thucydides' failure to recognise that what he intended would not be as clear to his readers as it was to himself. I was attracted by Qimmik's suggestion that νομίζω here might mean 'to esteem', and so νενομισμένην would refer to Nicias' reputation for virtue. On reflection, however, I doubt whether Thucydides would be basing his judgement of a contemporary on his reputation - surely he would make his own mind up as to the facts of the matter, and comment accordingly. In his school/college edition of Book 7, and in vol. IV of A Historical Commentary on Thucydides, Dover gives a couple of examples (from Euripides and Aeschylus) where νομίζω appears to mean 'to practise [a craft]', or 'to live [a life]'. In view of this, perhaps the sense here is: '... on account of his way of life, which was conducted wholly with reference to virtue', or, less literally, '... on account of his way of life, which was wholly directed towards virtue'. That's my best shot for now - though I may well change my mind again! Thanks, Pstr. The paperback is only GBP 17.99, US$ 25. I pre-ordered from Amazon but it hasn't been released in the US yet. Yes, my thanks too, pster. The Mynott volume looks pretty good. I see he takes the vexed passage we've been discussing as '... since the whole conduct of his life had been regulated by virtuous practices', though in his footnote he recognises the possibility of deliberate ambiguity. How does Mynott deal with 7.56.4? Can you tell which edition he uses? Qimmik wrote: How does Mynott deal with 7.56.4? Can you tell which edition he uses? A good idea to check - but I'm afraid I haven't yet got a copy of Mynott, and was only accessing his version via Google Books, which unfortunately excludes 7.56.4. He lists differences from the OCT near the end of the volume, but again I'm afraid I don't have access yet. My copy of Mynott arrived today. This gathering represented the greatest number of nationalities ever assembled at a single city, with the exception of course of the overall totals involved in this war with the cities of the Athenians and the Spartans. You were on the right track. I wasn't. This translation into clear and fluent contemporary English looks very good. There are 30 maps and a large number of helpful notes, an introduction and useful appendices. He generally uses the OCT with some different choices, taking Alberti and other editions into account. There are textual notes at the end. By the way, Alberti's three volumes are truly a beautiful book, isn't it? The Greek--and Latin--typefaces are particularly handsome. Qimmik wrote: My copy of Mynott arrived today. Qimmik - many thanks for the update, and my apologies to you, pster and others for not having been around for a while: other issues have perforce somewhat monopolised my attention of late. From what I've seen online, the Mynott volume certainly looks good. I'm a little surprised he still bases his version on the OCT, rather than Alberti, but then the latter is somewhat hard to find - I had to get my set from a bookshop in Florence. Alberti's is indeed a most attractive edition, though I had to do quite a bit of pencil annotation before using it: for convenience I've added in at the appropriate points the corrigenda to the text (but not the apparatus, which would have taken too long) which are printed at the end of the second and third volumes, and I've also picked up about eighteen further typos not identified in the corrigenda. But it does seem to me a marked improvement on the OCT. The website is difficult to navigate. If anyone is interested, I can provide instructions on how to find it in the catalogue. You are quite correct regarding the difficulty of navigating through that site. Apologies for bothering you all with this query, especially since I think I've raised it in the past in another context (which now eludes me). ὁ δὲ Ἀστύοχος καίπερ οὐ διανοούμενος διὰ τὴν τότε ἀπειλήν, ὡς ἑώρα καὶ τοὺς ξυμμάχους προθύμους ὄντας, ὥρμητο ἐς τὸ βοηθεῖν. I think ὥρμητο (from ὁρμάω) here must be imperfect in sense - 'he made ready to go to the aid [of Chios]' - but, if so, I don't understand the form. Given both Smyth's rules on contraction, and his paradigms of contracted verbs, shouldn't the form be ὥρματο? Why is there an eta where I would have expected an alpha? Can anyone help with this? Apologies for raising it again, and for my imperfect (!) knowledge of the minutiae of accidence - I'm conscious that I may well be missing something which is very obvious to sharper minds. I think this is pluperfect middle, isnt' it? If the eta were the result of contraction it would have a circumflex accent. The pluperfect prefixes the syllabic augment ε to the reduplicated perfect beginning with a consonant; when the perfect stem begins with a vowel the pluperfect retains the prefix of the perfect. John and the pluperfect don't get along. The perfect is a good tense for expressing mental states because they are states that have been formed by some process. In English, we just say he is excited. But in Attic, they can use the perfect to make the point that he became excited and remains so. Now move all that to the past and you have the pluperfect. Thucydides could have used the imperfect. But that would have been less precise. And I think that the (plu)perfect is preferred for mental states anyway. Just look at all the Greek verbs that don't have a present and use the perfect instead, fear, remember, etc. Also, note that the English pluperfect has a different meaning, ie that of an action prior to a past action. See Mastronarde. To express the English pluperfect, Greek often makes use of the aorist.